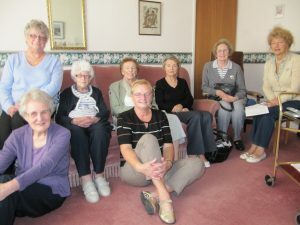 The ‘Tuesday House-group’ meet fortnightly at 2pm at the home of Ms Mary Bradbury; there are ten members. The aim of the group is to grow in faith and fellowship by Bible study, worship and in supporting each other (with God’s grace) in prayer and practical assistance through the joys and trials of life and by out-reach to the community. Group-members help in serving the Church wherever there is a need and as they are able. The group has recently studied the Book of Revelation and the Psalms; and have also enjoyed sharing together in Birthday Lunches.